One of the most traveled holidays in the United States, Thanksgiving, proves to be a stressful time, even for the most seasoned travelers. Nearly 51 million people are estimated to travel by plane, train, and car over the holiday weekend. Last year, Amtrak had the largest passenger count to date during the Thanksgiving week with more than 777,000 riders on their trains across the country. In anticipation of the large crowds, Amtrak is adding extra trains, more seats, and other service options for Thanksgiving. 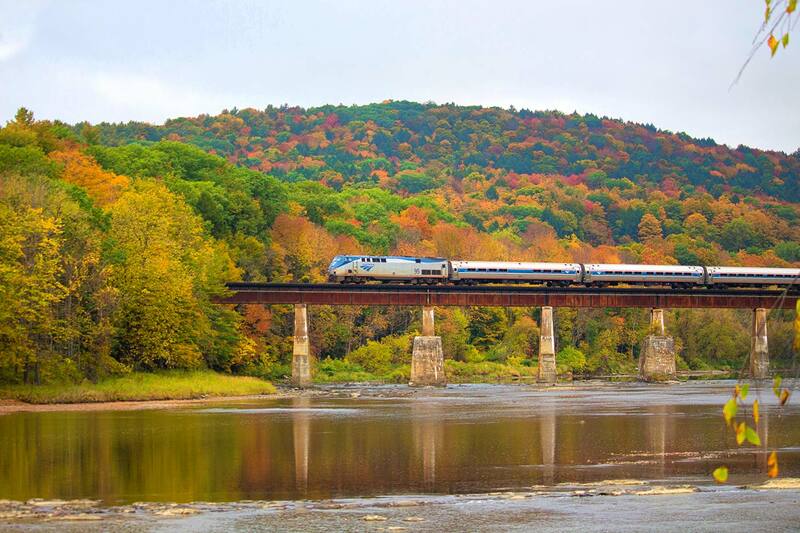 In the Northeast from Boston to Washington, DC, and even extending into Virginia, Amtrak services will operate full and extended schedules with added frequencies during the Thanksgiving week. The New York City-Harrisburg route, the Keystone, will change to requiring reservations for all trains. In the Midwest, for routes operating to and from Chicago, additional trains will be added on the downstate Illinois and Michigan routes. Extra trains are scheduled to and from Chicago and the Illinois stations in Normal and Quincy, along with the Michigan stations in Ann Arbor and Holland. The Chicago-Milwaukee corridor is the Midwest’s busiest and space is limited on Amtrak Hiawatha Service, so a reservation will be required to travel from November 20-25. On the West Coast, additional capacity will be added to the Capitol Corridor (Auburn/Sacramento – Oakland – San Jose), San Joaquins (Oakland/Sacramento – Bakersfield) and Pacific Surfliner (San Diego – Los Angeles – San Luis Obispo) routes. During the holiday period, the Pacific Surfliner service will also require reservations November 21-25. The San Joaquins train will require reservations November 18-26. Visit Amtrak.com for complete details.